In May 2017 Peace Perspectives visited several villages in Umakunda in Ramechhap District, Nepal and asked what peace means to them. The initial phase of field research is the collection, documentation, and analysis of these definitions of peace. The themes from the interviews range from family to community and basic services to government assistance. The interviews also reflect that, for some residents, peace is an active verb with a long-term vision. Their definitions also comprise negative peace, which is the absence of conflict, and positive peace, which is the absence of structural forms of violence. 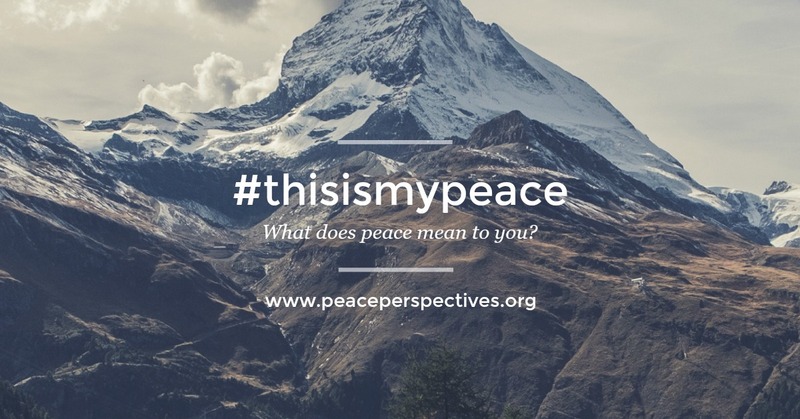 Based on these interviews, Peace Perspectives is working with the local community to fulfill their peace aspirations. One of these aspirations relates to a better future for their children. 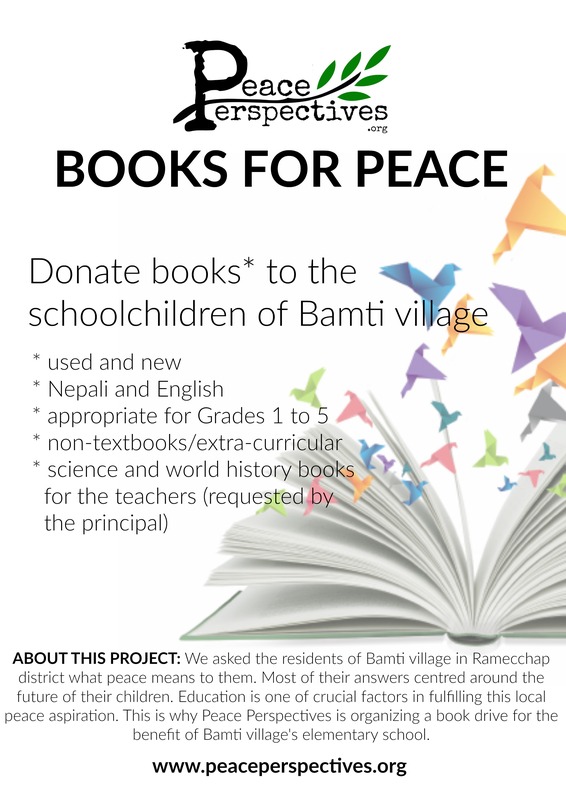 With education as one of the key factors in ensuring a child’s better future, Peace Perspectives launched a book drive for the benefit of the elementary school in Bamti village. Our field research report is available here. Listen to the voices of Umakunda residents in this video* and tell us what is the most common theme from their peace perspectives. *We do not claim that these perspectives are representative of the whole population of Umakunda but we believe that every voice is worth listening to.